Christmas is the time of year for family, over-eating and over-drinking; all of which produce a copious amount of strain on your bathroom. 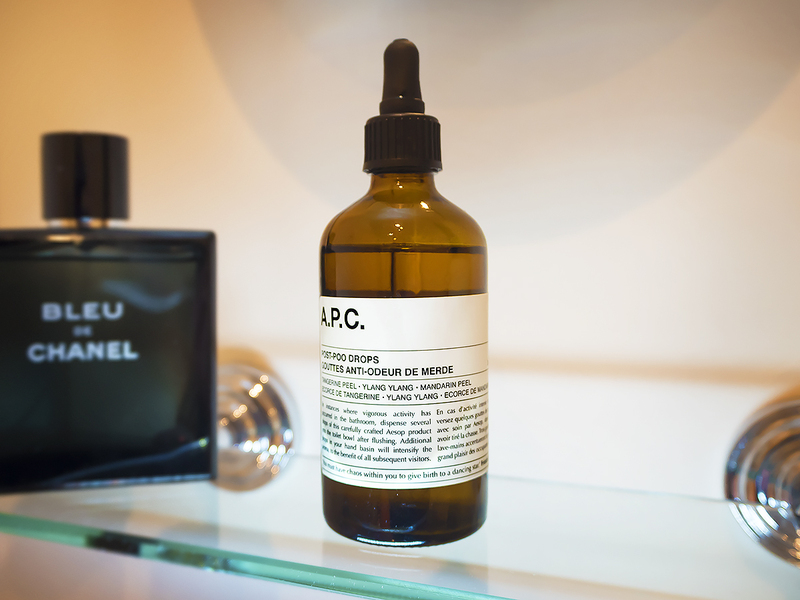 Aesop Post-Poo Drops (more offensively titled in its original French) are a beautiful mix of essential oils of lemon, mandarin peel, tangerine, ylang-ylang and pelargonium oil. A liberal number of drops placed directly into the flushed toilet-bowl will leave your bathroom with the most incredible smell whilst vile whiffs are banished. At first, the toilet water goes cloudy and you smell nothing; thinking “this is a load of rubbish”. Leave the bathroom for a couple of minutes and on your return, whoosh, the bathroom is cleansed, refreshed and stench-free without the gagging air of gaseous and artificial air-fresheners. A 100ml bottle will last an absolute age as you use maybe 5-7 drops at a time and for just £20, you’ll honestly spend less on this than most cheaper air-fresheners. Also, it looks gorgeous in the bathroom and people will want to use it as it’s so unique. So to ban your bathroom of seasonal stink; Brussels bottom burps and turkey trumps – this is your answer. This article first appeared on MANFACE written by Thom Watson. It was published on Thursday 18th December 2014 and was last updated on Monday 3rd April 2017 at 1:41pm. It's categorised under Aesop where you'll find more related content. OMG no way!! Two things: amazing, and also screams of a brand having way too much money!